For years, the Toyota Tacoma literally had no direct competitor. The Nissan Frontier, also a mid-size pickup truck, was never a serious rival. But things changed in 2014 when the redesigned Chevrolet Colorado and GMC Canyon hit the market. 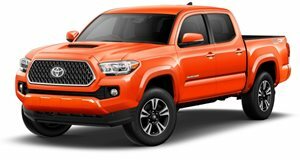 Toyota took note and updated the Tacoma as needed. Ford also noticed this mid-size truck resurgence and the Ranger is a result. And then there’s Jeep. For years there were rumors a Wrangler-based truck was coming, but it took until last November for the Gladiator to arrive. Now that it’s on sale, is Toyota concerned? Nope. This isn’t the first time someone at Toyota has boasted about high Tacoma demand. Even late model used examples don't spend long on dealership lots. 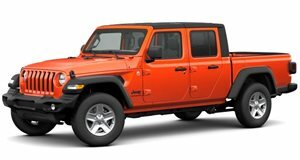 Toyota is keenly aware the Jeep Gladiator is out for the Tacoma in an attempt to steal market share. But because of Toyota’s long-term Tacoma commitment, the chances of owners switching sides is slim to none. In fact, Fiat Chrysler itself expects 15 percent of potential Wrangler buyers to switch to the Gladiator instead. Currently, about 10 percent of Jeep owners trade in their vehicles for a pickup truck each year. So in other words, around 25 percent of projected Gladiator buyers were already planning to buy a Jeep or currently have one. It’s a Jeep pickup truck for established Jeep owners. Toyota’s Johnson predicts only around 50,000 Gladiators will be sold annually because it’s sort of a niche vehicle. To compare, Toyota sold over 245,000 Tacomas last year, an all-time high. But still, other industry analysts are predicting big conquest rates for the Gladiator. What Toyota may not be fully aware of is a possible "silent majority,” if you will. A large number of people have always wanted a pickup truck but could either never justify the expense or weren’t interested in a conventional choice like the Tacoma. We’ll just now have to wait and see what transpires.